Port forwarding and static ip addresses. This solution requires the user of the connected device to know how to configure a router and have access to router administration which is not always possible. A Yun tutorial with port forwarding is found here. Polling is a technique where the connected device at regular intervals checks with an external server if the device should take action. This solution requires no configuration of the router but it creates extra network traffic and response delays. A third way is to use WebSockets which is a way of providing real time full-duplex communication over TCP. Spacebrew is a good open source toolkit for connected devices using WebSockets. Autobahn is another infrastructure that can be used. Reverse HTTP is the solution that will be used in this tutorial. We will use Yaler which is an open source relay infrastructure that gives access to connected devices with very little configuration. Step 2: Sign up for a yaler account at try.yaler.net and note your yaler relay domain. Step 3: Make sure that your computer and the Yun are connected to the same network. Instructions can be found at the Arduino website. Note: The Yun and the computer only has to be on the same network during configuration. As soon as the programs are uploaded to the Yun, they can be on completely different networks, which is the whole point with this tutorial. and enter your arduino password when prompted. Step 6: Upload yunYaler.ino to the Arduino. Make sure you have changed the RELAYDOMAIN definition to your domain first. Also set the DEBUG definition to either true or false. true requires the serial monitor to be opened for the sketch to run. Debug messages will then be printed to the serial monitor. Step 7: Now that both the Arduino sketch and the Python script are uploaded, all is set and it is time to test it. After power up, it might take more than one minute before the Yun has booted and the wifi connection is established. 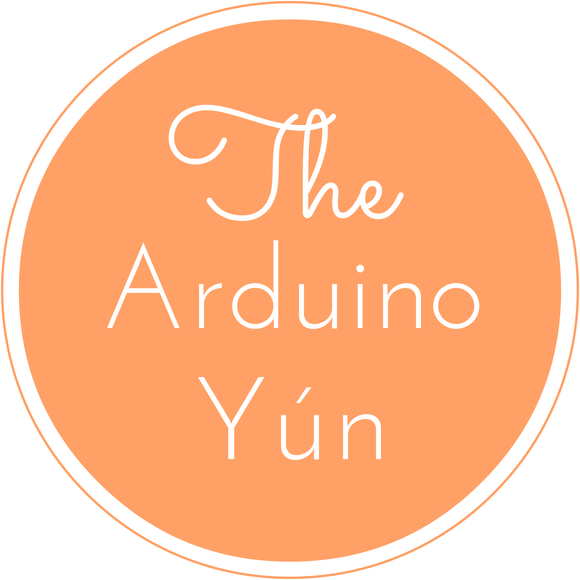 It is important that the wifi connection is established before the Arduino sketch starts the Python process. To ensure this there is a 2 minute delay when Led 13 will blink before it is ready. until the serial monitor is opened. As soon as the serial monitor is opened, the led will stop blinking and it is ready. The Yun must be connected to the computer with a usb cable for this to work. command can be either digital or analog, pin can be 0..13 for digital and 0..5 for analog. value can be 0..1 for digital. Enjoy turning on and off an LED from remote! UPDATE: Please note that some stability issues have been reported with the original version of yunYaler.py. An updated version with added time out is available at GitHub. port forwarding settings on the router the yun is connected to. //this requires a serial cable between arduino and computer. # note: this version sometimes freezes on unstable networks. Is it possible to port this to Raspberry Pi? I think it already is. Check out http://yaler.net and go to get started pages. There you will find raspberry instructions. I don’t know why you get the error, but I will see if can replicate it. Does it work when you run yaler through the Arduino sketch? I’m standing by some develops (I’m not a programmer) like a web interface to act commands through JSon strings :). Good work! This is a great tutorial – many thanks. I had a problem where it would work from a web browser, but not a PHP script. In the end realised the problem was at the Yun end. I had to make sure the “rest” String wasn’t followed by a header and use curl_init() rather than file_get_contents(). Great, thanks for the additional Arduino code that makes it work with PHP. I got the exercise works as expected. The problem I’ve got is it only run no longer 1 hour (approx. ), have to cycle power after that. Any idea? I have experienced the same problem myself. I am working on adding a time out to the python script and it seems to work, but I am not sure. Stay tuned for an update. You can check TimeServiceTimeOut.py at https://github.com/bopeterson/yunYaler to see the idea about adding a timeout. Great work – thanks a ton! I think temboo would be very interested in uploading your code (for temboo) on their website and I believe it would be a GREAT addition to the tutorials they already have. THE ONLY way that makes sense to use a YUN or any Internet Of Things device is with REST – the others usually do some kind of polling which in turn produces a lot of traffic and uses a lot of power as u mentioned above. Anyways besides loving to see this for temboo I’m very impressed! The timeout feature is a great idea. I think only then it becomes a really useful tool – after all, who would want to automate the garage door to only wait and be openable for 1 hour and then be locked out. 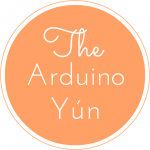 The Arduino should know the connection is lost and reconnect. Has there been any progress on the https://github.com/bopeterson/yunYaler at all? Thanks a ton though – still a great tutorial! Yes, there has been progress. TimeServiceTimeOut.py has been running for 2 weeks without interruption. yunYaler.py has just been updated with time out at github. Please note that it is not fully tested yet. The version with time out has been running for many days without freezing. Check github for a version that hopefully is stable. Please let me know if you still experience any problems. I think using what u have created over GSM would be great as well! Thanks for sharing the code for your project. I just ordered a Yun (I have a CC3000 that’s not supported by Yaler yet) to get one of my projects of the ground. During your research did you find that Yaler was the only solution to reach Arduinos behind a NAT? Check the first four bullet points of the post. I list four different methods to reach an Arduino: port forwarding, polling, websockets and the reverse http method that yaler is based on. So the answer is: No, yaler is one of many solutions. I am sure there are more ways. https://temboo.com is a service that works that is not listed at the top. Hi – I have been following the discussion regarding TimeServiceTimeOut.py and I have installed the latest version on my Yun. However, I’m only get about 6 hours before it stops working. If I restart the Yun (power down) then it works again. I tried creating a timer on the Arduino that stops and restarts the Yaler process every hour, but that doesn’t help. I’m not sure what’s going wrong or how best to debug it. Any advice gratefully received! I upgraded, and with upgrade and time outs, the yun has been running for weeks now. Very nice tutorial.Actually I need to connect with Yun my webserver and arduino relay so that anyone from anywhere can swith ON/OFF from my interface web (with my domain and Ip).Is this possible?I can’t use yaler for my project!!! how to copy the yunYaler.py to arduino through windows cmd ? but isn’t the yaler cost money !! around $10 a year for one relay !!! what do they mean by one relay ?? is it like one arduino with one relay only ? instead of dealing with yaler ? Yaler is free to use. A Yaler relay is not a physical relay that can turn things on and off, but a virtual ralaying service. You can connect many physical relays (electromagnetic switches) to your Arduino and control all of them with one Yaler relay. Also, check the bullet points at the beginning of the post for alternative free ways of doing it without Yaler.